The law firm of Andrea & Towsky is fully experienced in dealing with all phases of personal injury, wrongful death and 9/11 illness related matters. Our Firm is fully familiar with all aspects of local and state laws regarding injury cases and Zadroga claims. We offer a free initial consultation to enable you to clearly understand your legal options and to help us determine the best possible procedures for your individual circumstances. Andrea & Towsky handles all personal injury, wrongful death and 9/11 illness cases on a contingent or percentage fee basis, meaning that if we are unable to recover damages for you, there is no charge for our services. With millions recovered for our clients, the law firm of Andrea & Towsky has the experience needed to properly handle your case. You should never accept less than what you deserve, and we'll fight for nothing less. If we don't win your case, you don't owe us a penny. We fight for you. We protect victims, and ensure the injured have access to justice. We are recognized by important organizations such as the New York State Trial Lawyers Association. Our New York personal injury attorneys and 9/11 Zadroga representatives have been helping injured New Yorkers seek justice since 1992. We build on our years of collective experience as trial lawyers to fight for our clients and their right to seek compensation. Andrea & Towsky also have experience and have had many awards in handling general civil litigation matters in both State and Federal Courts. We have handled Construction cases, Contract disputes, Employment disputes and large collection matters. The Attorneys have over 60 years of combined experience in handling Residential, Coop, Condominium and Commercial transactions and closings. The Firm also handles all type of leases. Andrea & Towsky handles all types of wills, Living Wills and Health Care Proxies and Powers of Attorney. We can help beneficiaries and loved ones transition smoothly through the probate process and carry out all terms and conditions of the will, both efficiently and quickly. Andrea & Towsky has over 30 years of experience in handling all types of business sales, purchases, buy-ins and buy-outs of entire businesses or individual owners/shareholders interests. Andrea & Towsky did an outstanding job in handling my construction case where I was working on a ladder when it teetered and shifted causing me to sustain a shoulder injury requiring surgery. They settled my case just before trial for $500,000. 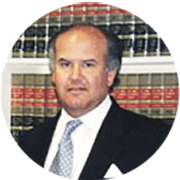 Frank A. Andrea handled the sale of our $2.85 million home in a professional, expeditious and concise manner after we had retired down South. We did not even have to appear at the closing. I highly recommend the firm of Andrea & Towsky. Andrea & Towsky and his firm have acted quickly and professionally after they took up my 9/11 Zadroga case. They were able to obtain a Seven (7) figure award quickly and without any hassle for me. Thank you. We'll be in touch by email shortly.